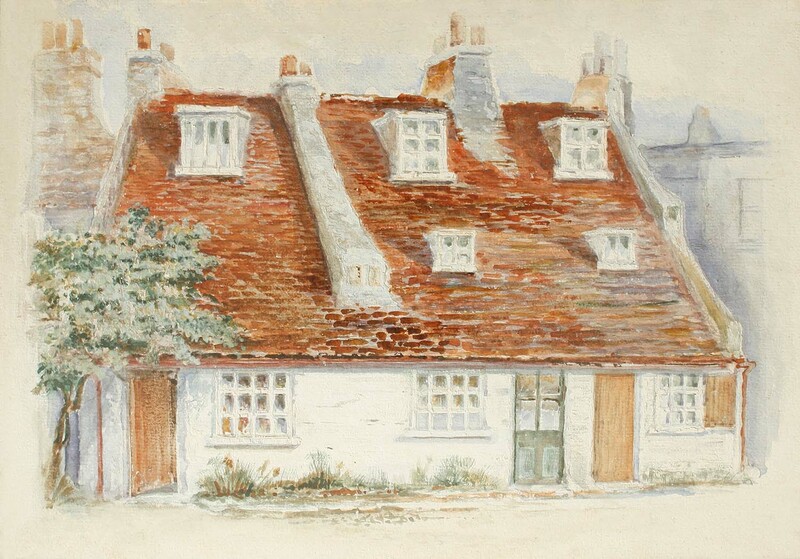 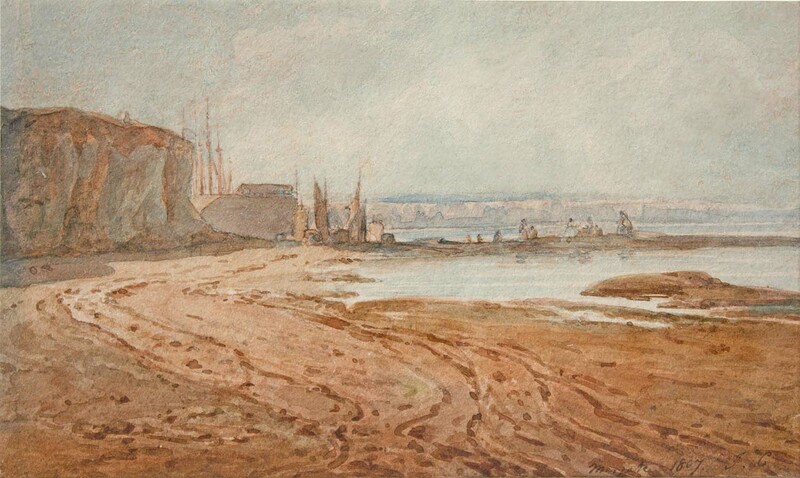 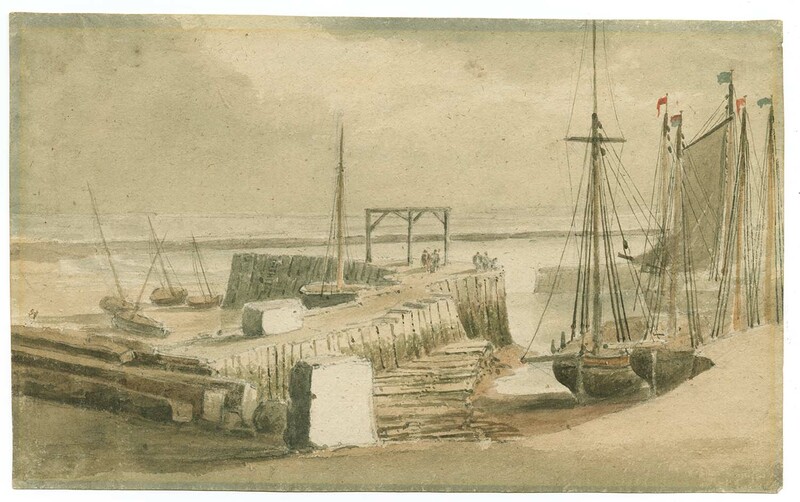 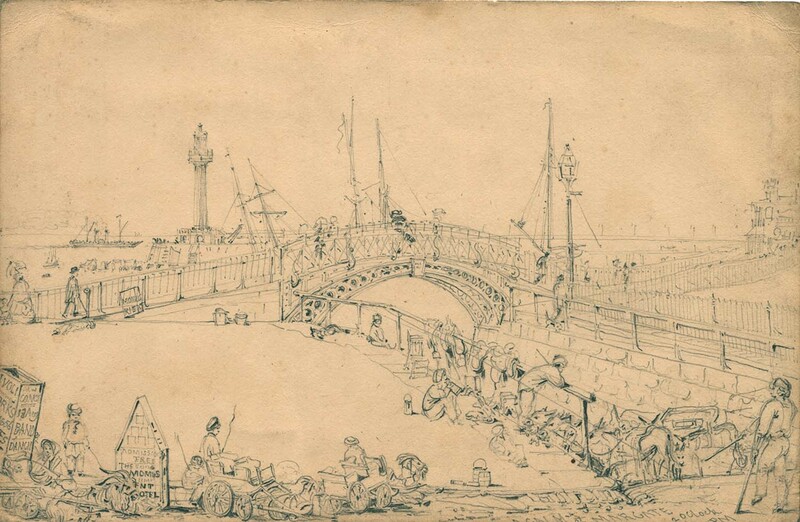 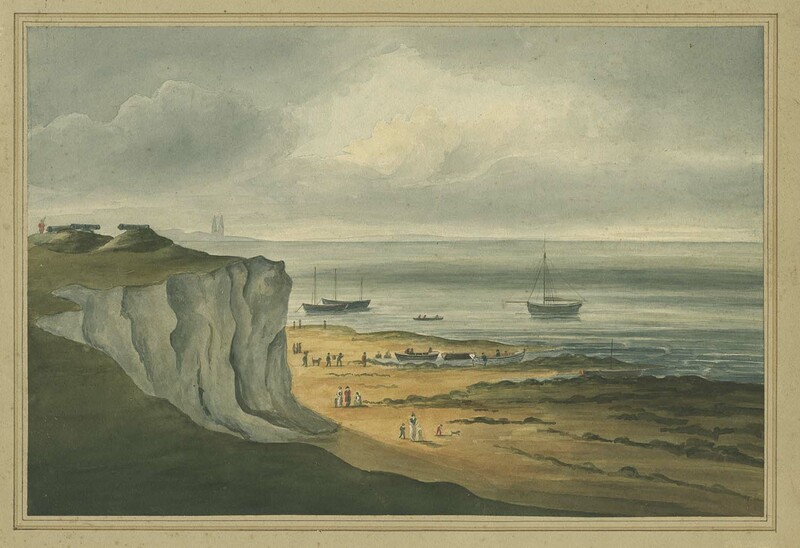 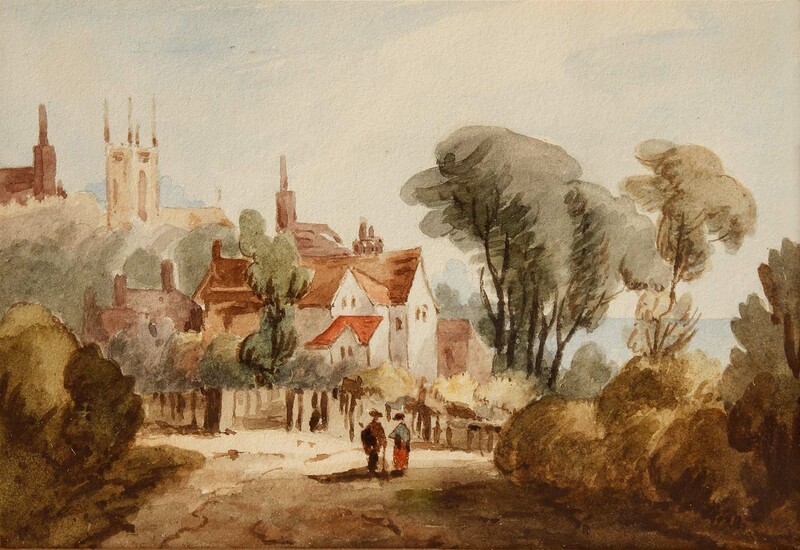 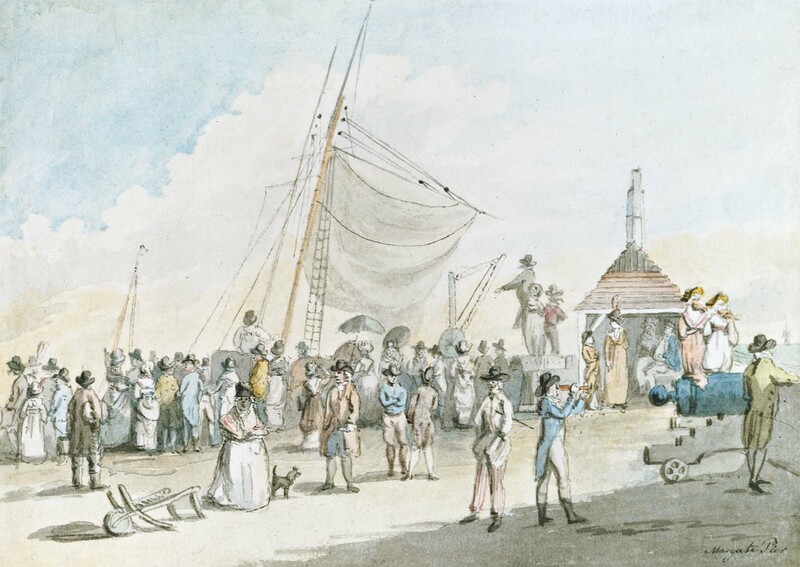 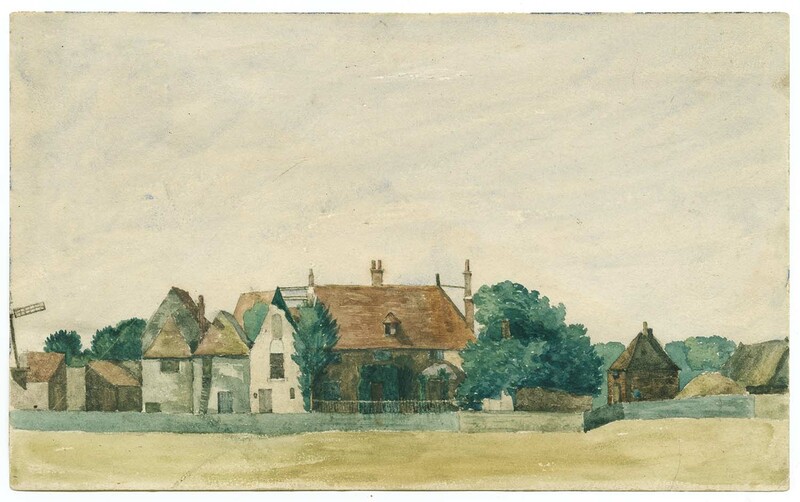 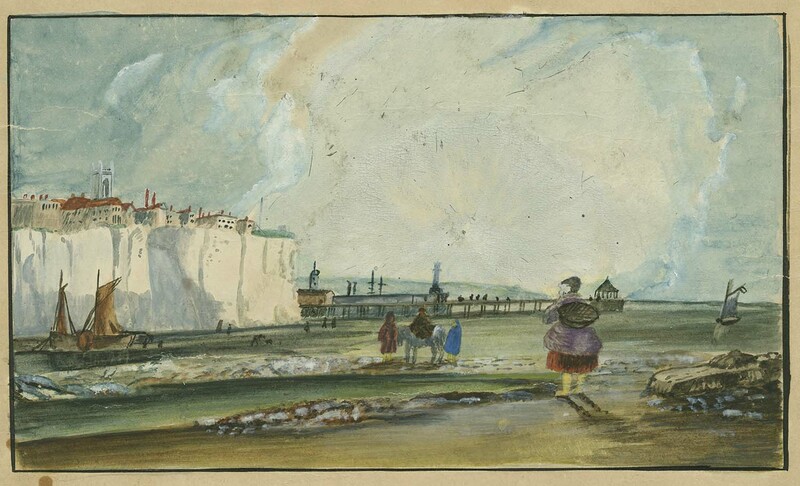 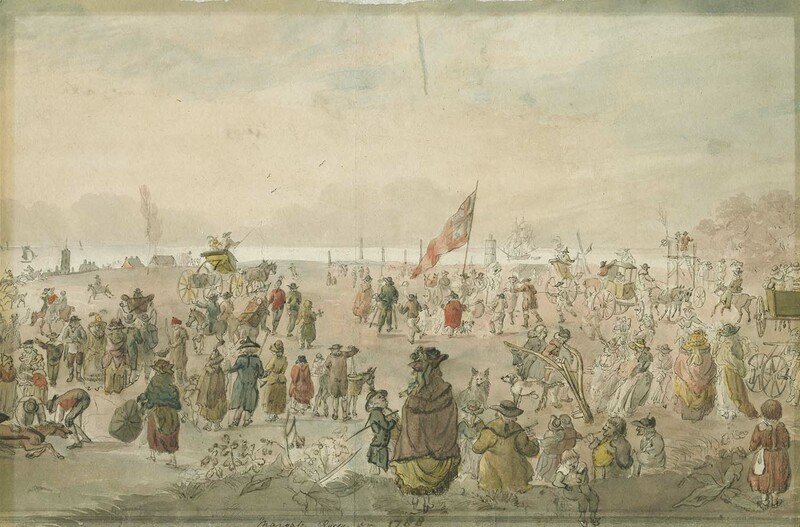 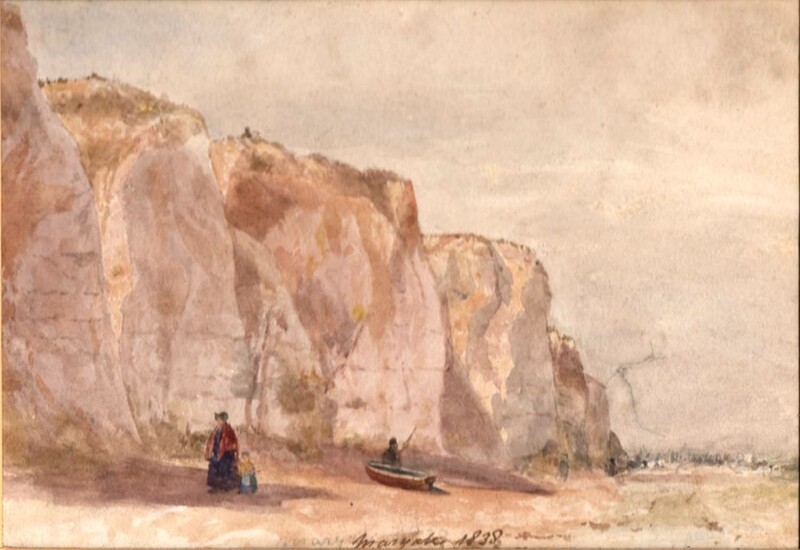 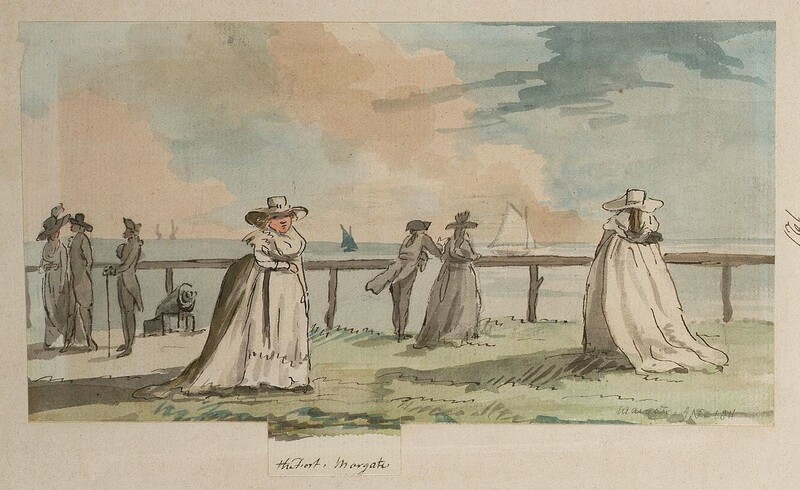 This watercolour shows the Pier protected by wooden piles, before the Pier had been clad in stone in the early 1790s. 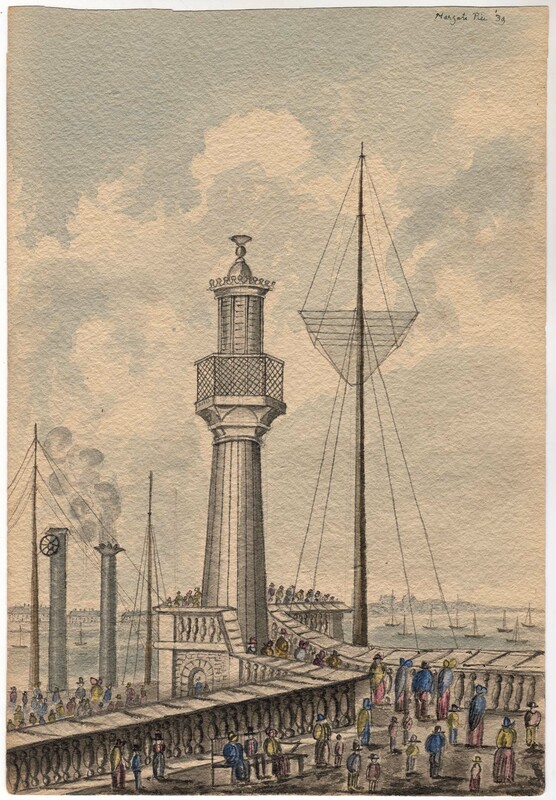 Prominent on the Pier is the gantry crane. 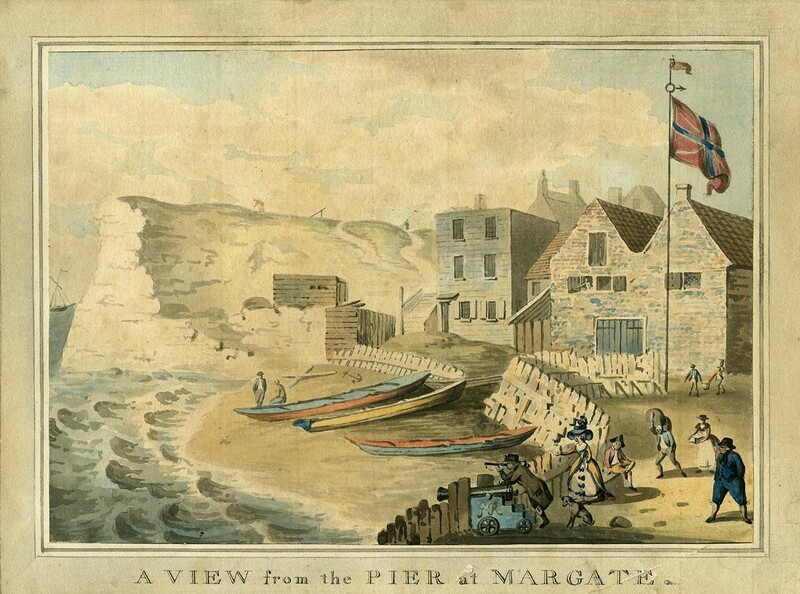 From The New Margate, Ramsgate and Broadstairs Guide 1809. 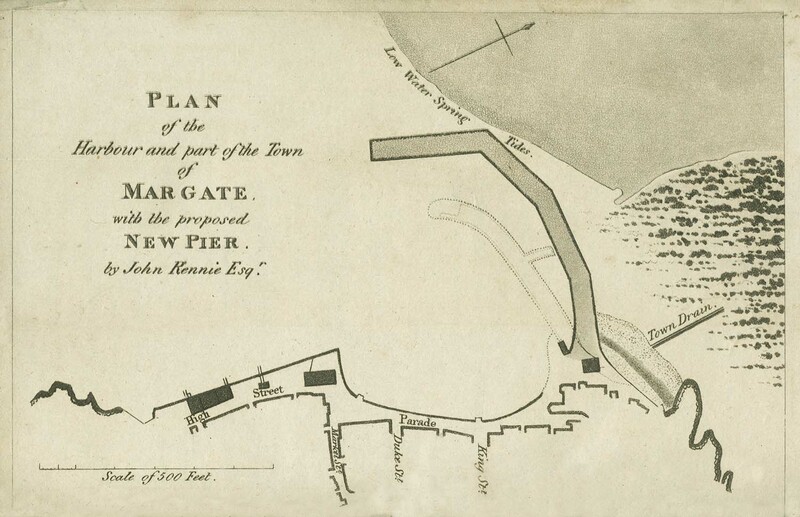 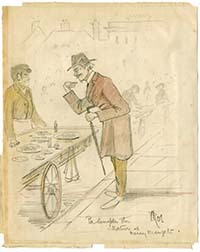 Following the destruction of the old Pier in the storm of 1808, the engineer John Rennie was brought in to design a new Pier, extending northward of the old one. 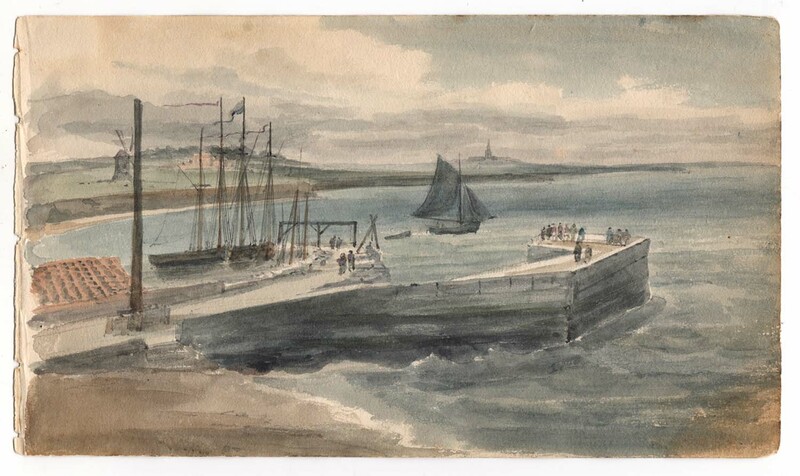 The watercolour shows the old Pier on the left and the partially completed new Pier on the right, as it was in July 1812. 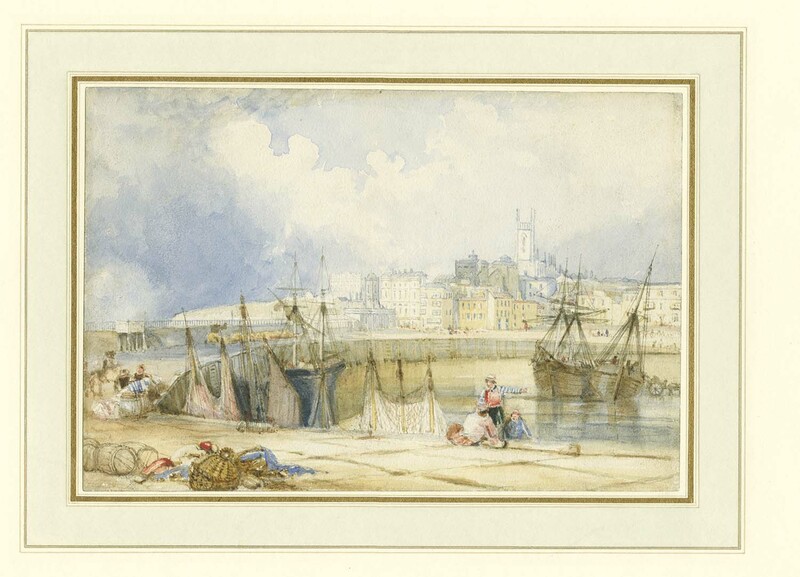 The picture shows fishermen conversing on the harbour at Margate. 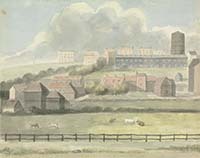 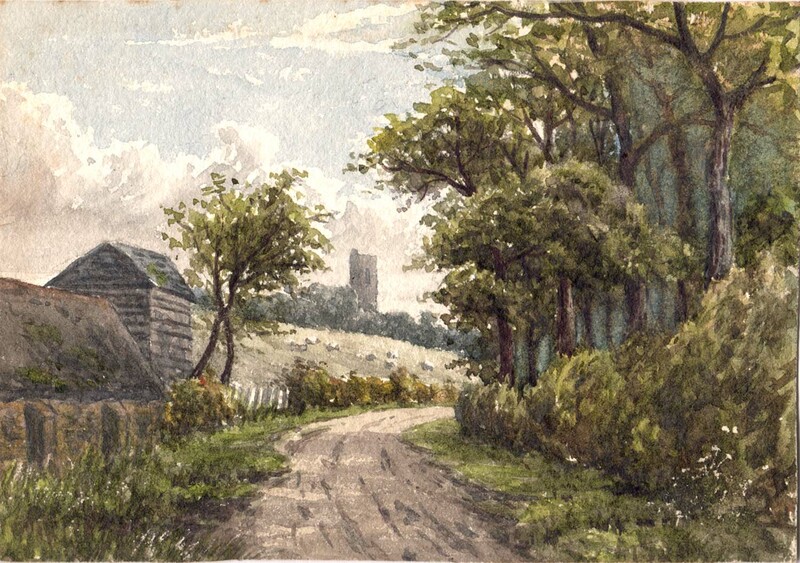 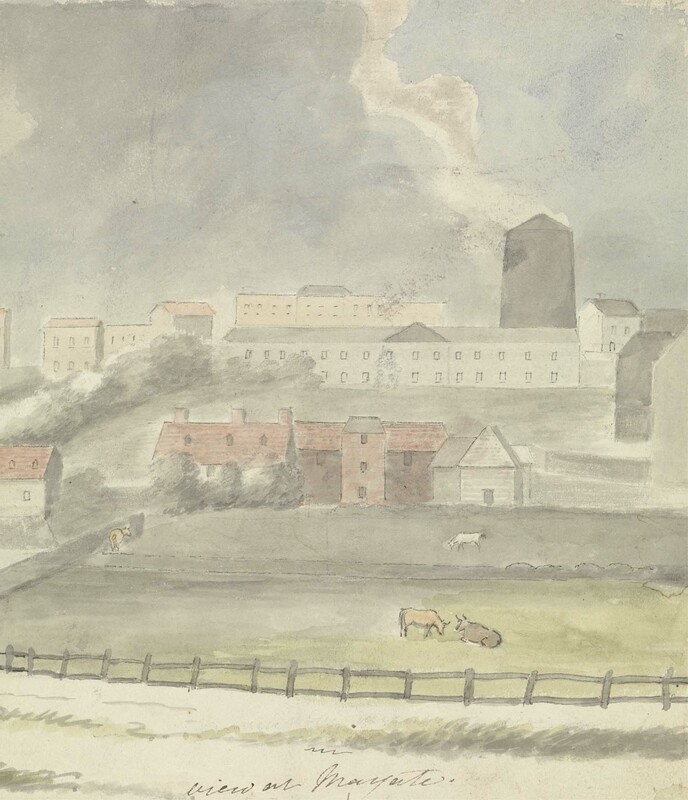 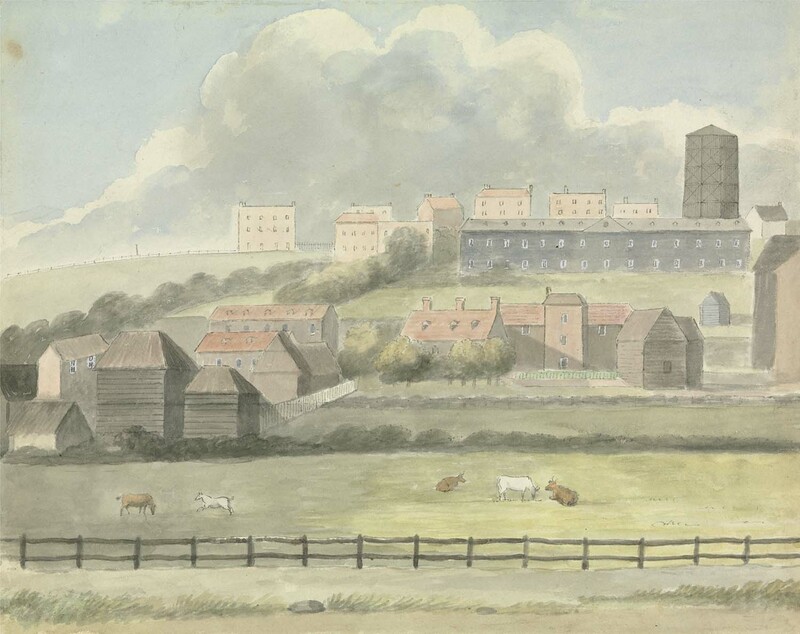 Trinity church on the horizon dates the picture to after 1825. 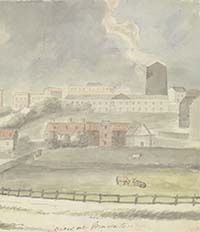 Austin died in July 1834. 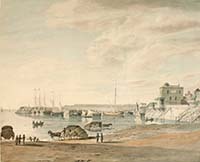 A view on the Fort. 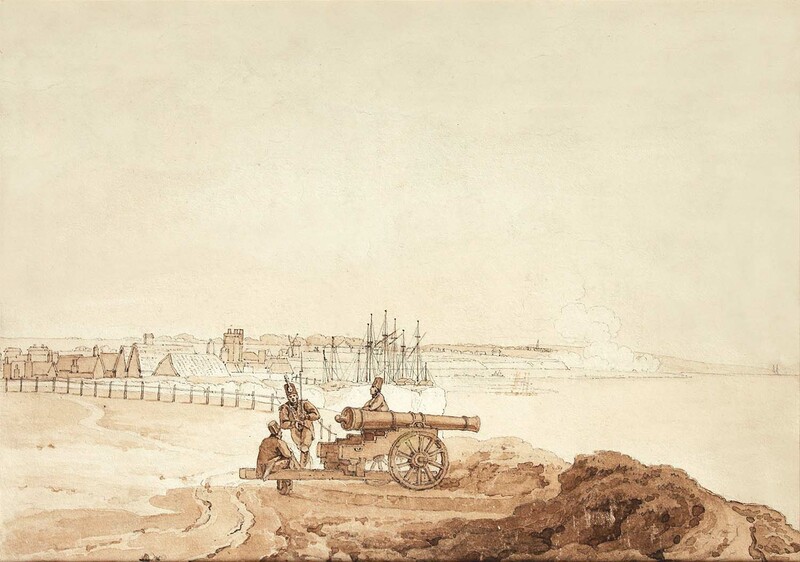 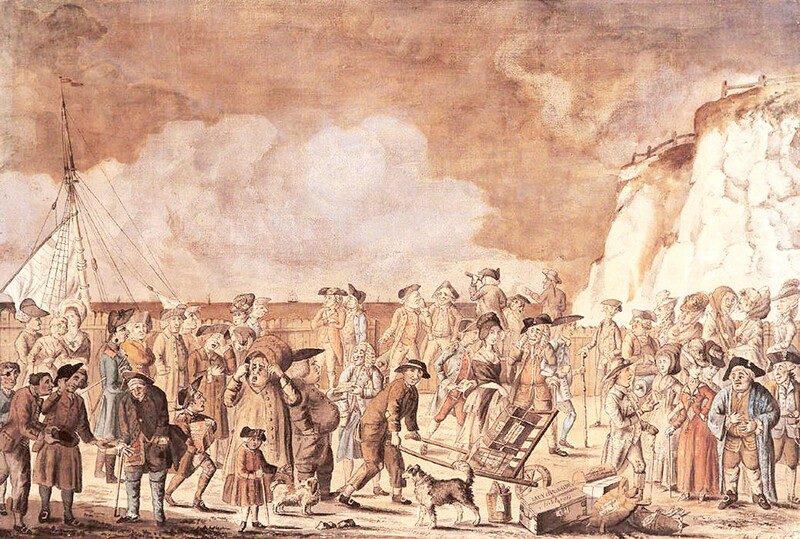 Visitors on the Pier, showing a mounted cannon and a small hut where the ammunition was kept. 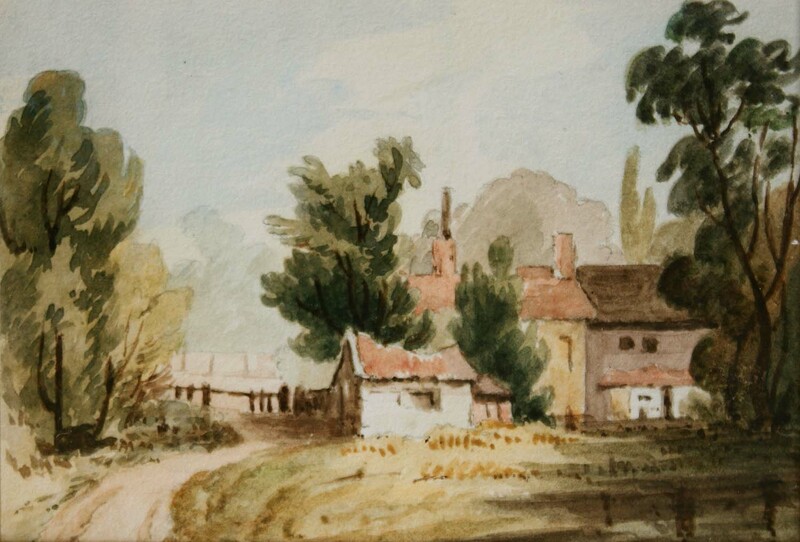 drawings by Edward Francis Burney [1760-1848], cousin of Fanny Burney. 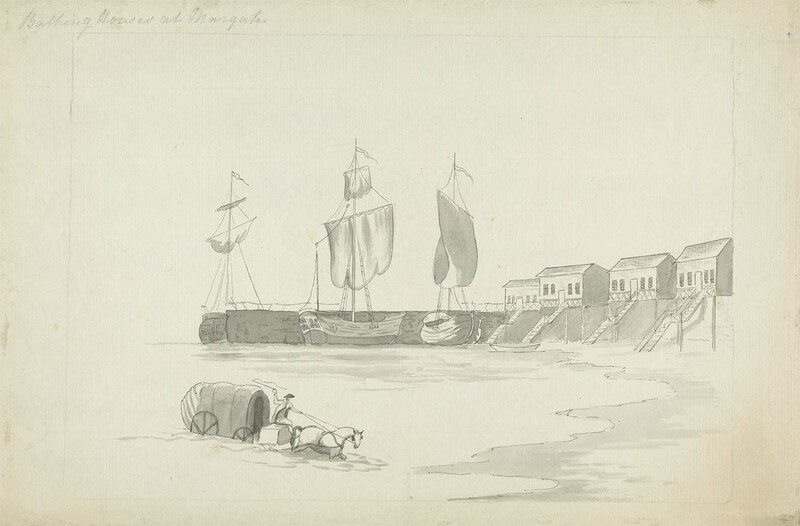 The Fort with three guns and small boats landing near the Fort. 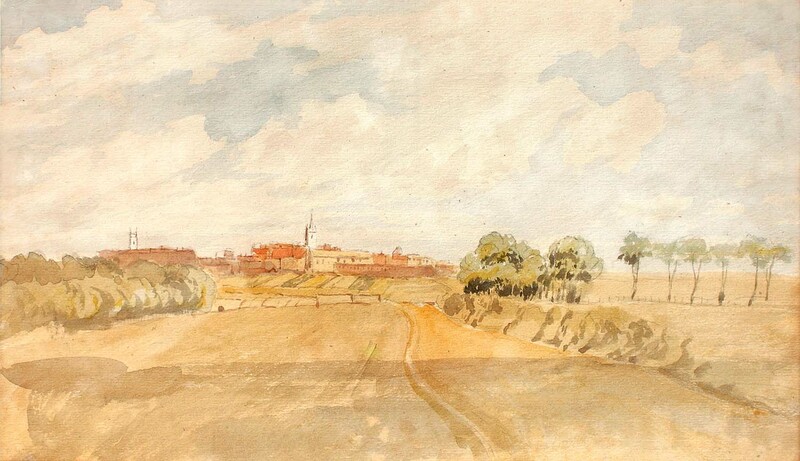 The twin towers of Reculvers are in the background. 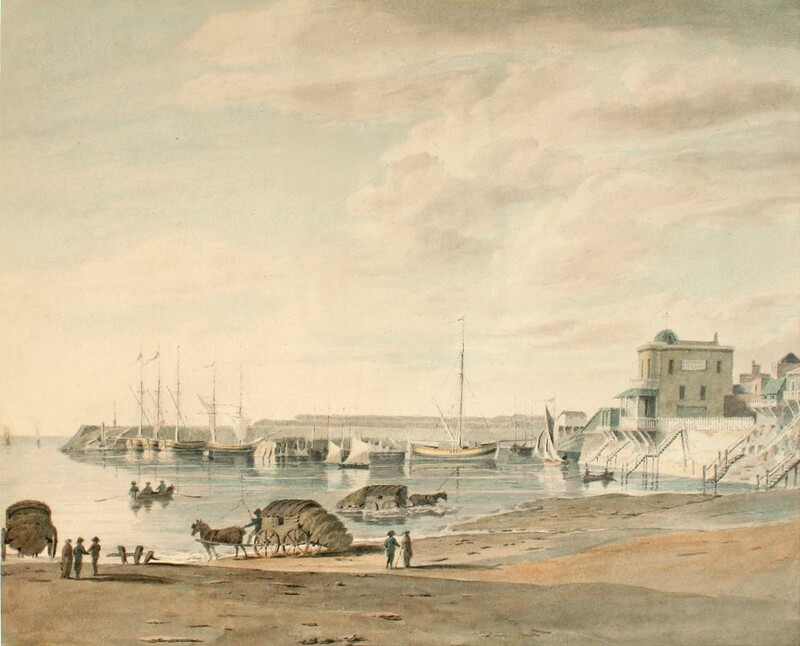 A view towards the harbour with the Fort on the left. 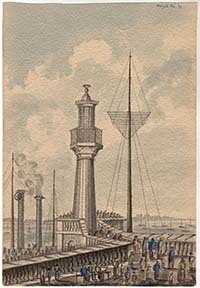 A view of the Pier in the days of the steamships. 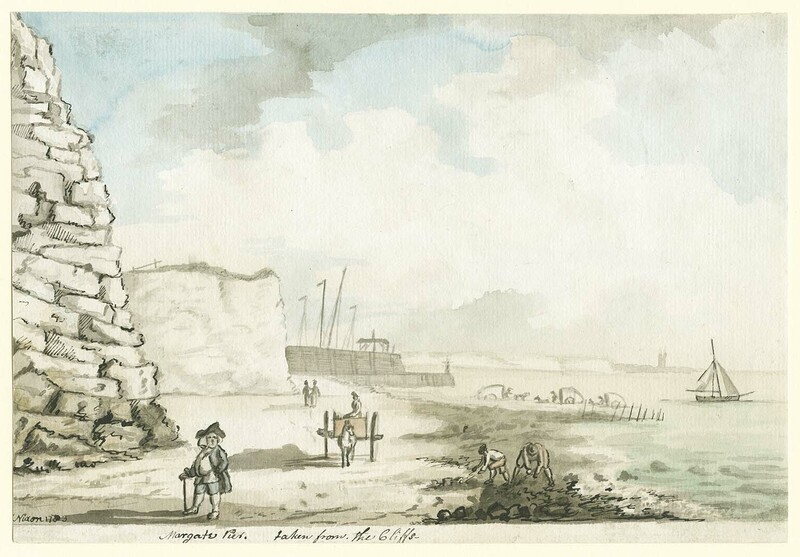 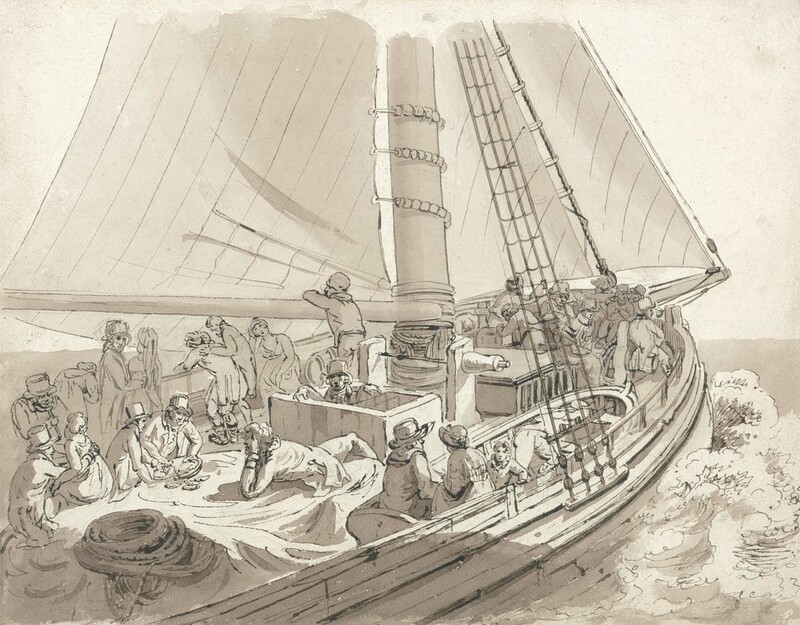 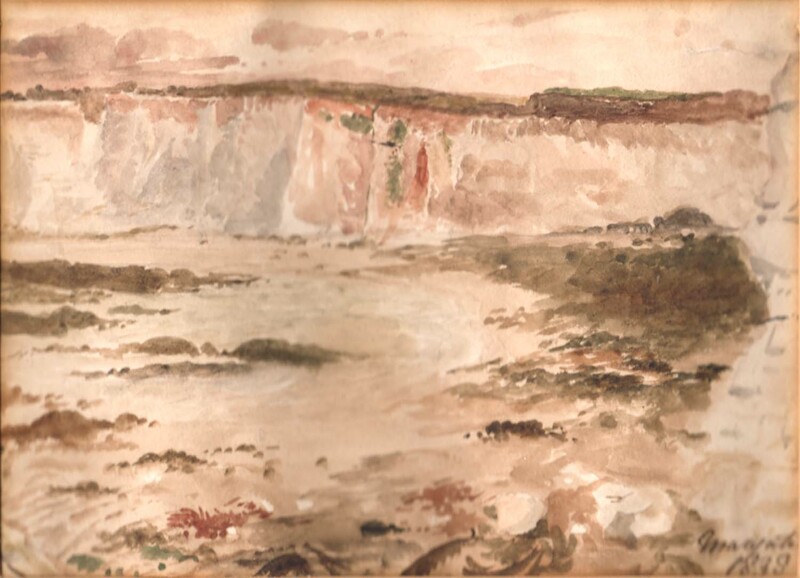 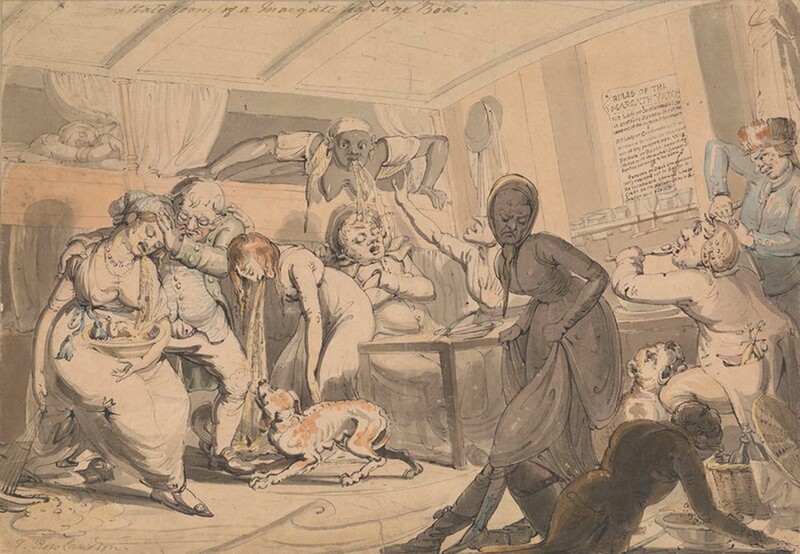 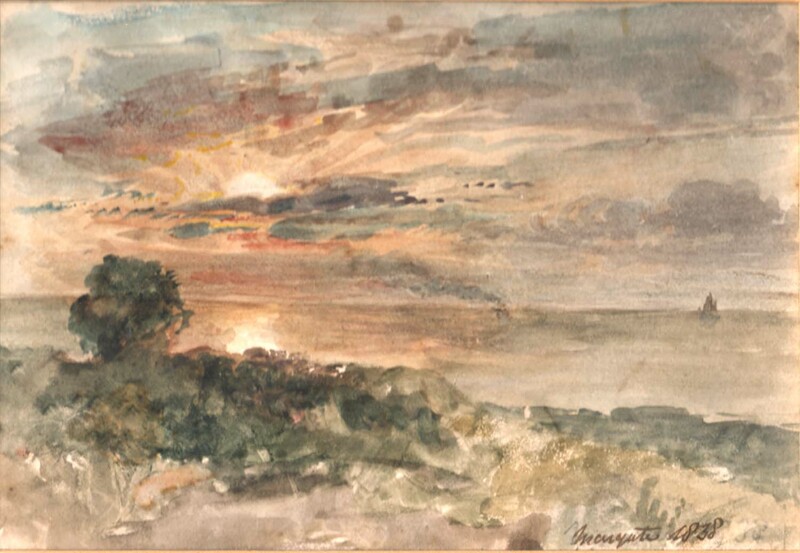 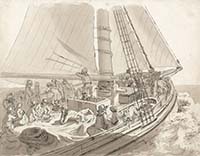 As well as a place for embarking troops, Margate had an active trade transporting horses to and from the continent.